They are currently top of the league, a position they’ve held since the 12th round of the season. They looked impressive as they easily beat Gwangju at the weekend 3-0, a result which maintained their 14 point lead a the top. That win means they have now won their last 5 league games straight, and are still undefeated this season (in the league). They have also won 10 of their 11 home games this season drawing the other. Their star player at the moment is Brazilian Ricardo Lopes, the former Jeju United man have scored 5 goals in 4 games and seem to be enjoying his football at the moment. The Asian Champions League Winners from back in 2012, currently sit in 5th place. They were poor at the weekend losing against Jeonnam Dragons 2-0 at home. Their recent form has been awful, losing their last 3 games on the bounce. They looked better earlier in the season, but are missing a goal scoring presence since the departure of Kim Shin-Wook to Jeonbuk. Their Key player could be newly signed Guinea-Bissau International Frédéric Mendy, the issue maybe fitness as 7 games in a month is difficult for most players. Head-to-Head: They’ve played each other twice this season, with the first game ending 0-0 back in late March. The other 10days ago Jeonbuk won 2-1. 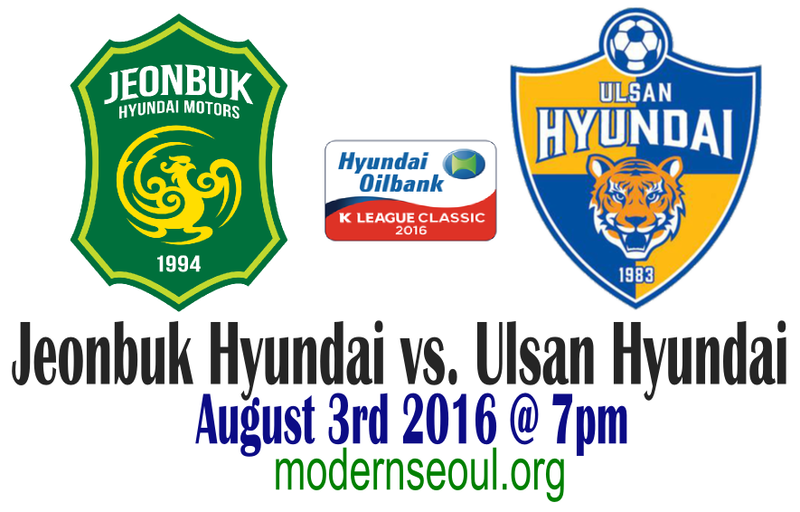 Last season Jeonbuk won twice (both 2-1) and Ulsan won once 2-0. It’s been over 6 years since Ulsan beat Jeonbuk at the Jeonju World Cup Stadium. Since 2003 they’ve played 52 times. With the record standing in Jeonbuk’s favor, Jeonbuk (22) draws (15) and Ulsan (15). Jeonbuk Hyundai are on title winning form at the moment, whilst Ulsan look more likely to finish in the bottom rather than the top half come the end of the season. 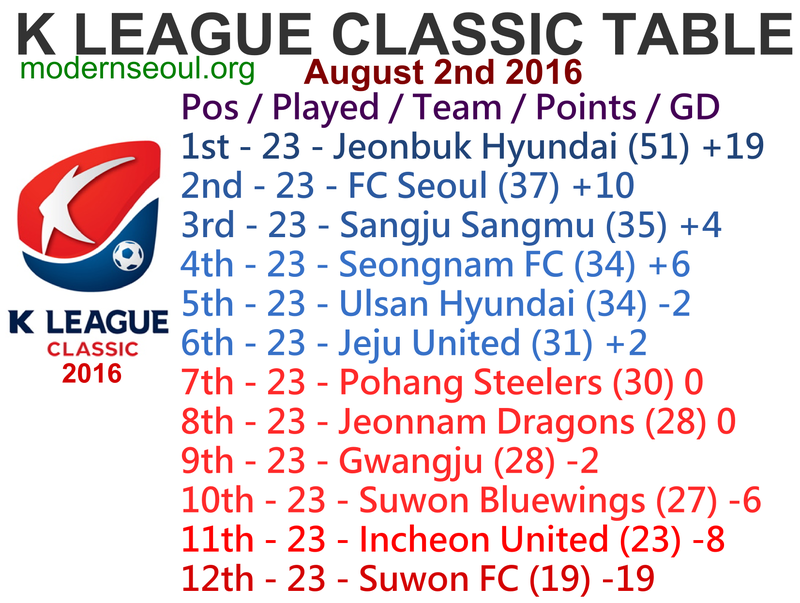 The squad strength also favors Jeonbuk, so after a very busy July fitness could be a factor. This could be a difficult game for Jeonbuk simply because they’re expected to win and the pressure won’t be on Ulsan as they’re not expected to pick up any points. A dull match until the final 5mins when Lee Dong-Gook finally broke the deadlock. His powerful strike was too much for the Ulsan keeper as the ball went through his hands and into the net. However in the final minute, Guinea-Bissau International Frédéric Mendy found some space in the box and scored on the turn. A draw in the end was maybe a fair result.